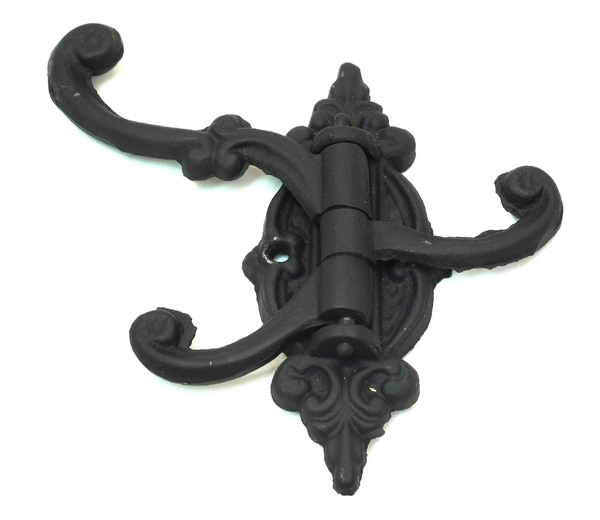 Swivel BLACK Cast Iron Hook, (3 Hooks) Perfect for every room in the house. Made like the old ones, the hooks lay flat against the wall until ready for use, then they swivel to the front to hang anything from towels, coats, keys, etc.. Great for backpacks. Measures 6 1/2" x 5 1/2"